Lilley took the question during the News & Observer’s Community Voices series event, Wednesday, Jan. 30. Joining Lilley on the panel were Rep. David Lewis, R-Harnett; Sen. Jay Chaudhuri, D-Wake; and Jane Pinsky, director of the NC Coalition for Lobbying and Government Reform. The N&O conducted a Q&A with Cooper, who pushed for expanding the program. 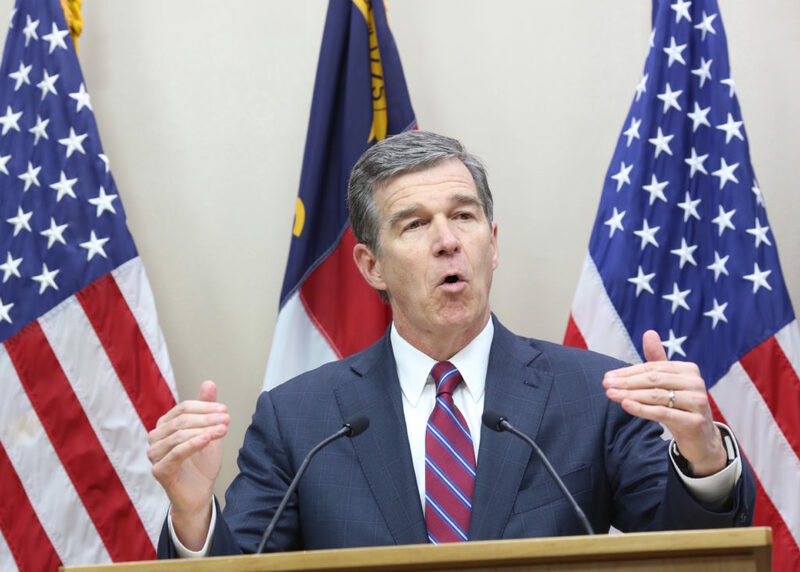 “It will ensure anywhere from 500,000 to 600,000 North Carolinians — most of whom are working — who don’t have coverage at this point,” Cooper said. The governor said if the state accepts Medicaid expansion $4 billion in federal money will come in each year to insure more people. While Medicaid expansion is a priority for Cooper and for Democratic lawmakers, Republicans aren’t exactly on board with the idea. Costs are the main concern with expanding the program. Some Republicans, including those behind the Carolina Cares legislation, are interested in expanding Medicaid, but not without including work requirements and provisions promoting healthy living. Participants would pay part of the coverage costs, and providers would cover the state’s share so as to insulate taxpayers from picking up any costs from people enrolled under the expansion. Reps. Greg Murphy, R-Pitt; Josh Dobson, R-McDowell; and Donna White, R-Johnston plan to file their Carolina Cares legislation again during the 2019 session to address the coverage gap. Senate leader Phil Berger, R-Rockingham, has remained skeptical of Medicaid expansion. He has questioned whether the program can be expanded without additional costs to the state treasury, which would require cuts in other public services or higher taxes. Jordan Roberts, the health policy analyst at the John Locke Foundation, said Medicaid expansion is a fundamentally flawed way of providing health care for people who can’t afford the current products on the market. In a recent JLF Policy Brief, Roberts outlined some of his objections. Roberts said tackling the high cost of health care means addressing insurance regulations, licensure restrictions, and certificate of need laws. “In North Carolina, we should look to address systemic causes of high health care instead of paying for those who can’t afford it to have access to the highly inflated care which won’t even guarantee healthier outcomes,” Roberts said. series: 2019 General Assembly, Medicaid expansion in N.C.